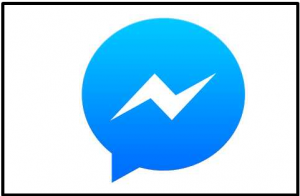 Facebook Messenger is a subsidiary app of Facebook which allows you to send and receive instant messages from your Facebook friends. The app is quite easy to use. To send messages, you only just have to tap on the “create new message” icon, type away and hit send to get your message delivered. The Messenger app does not just allow texts alone however. You can send pictures as well as info. You can even start a group conversation among your friends. If you don’t have the Messenger app but would love to enjoy the experience, read below to learn how to get it installed on your device. Tap “Search” on the bottom. Type in “Messenger” in the search bar and hit the search button on your virtual keyboard. Tap the “Get” button next to Messenger to start downloading. If you have not installed an app recently, you might be prompted to enter your Apple ID and password. Enter them as required. The app will take a little while to download and install. Type in “Messenger” on the search bar and hit search. A list of apps will show up with Messenger being at the top of it. Tap on Messenger. Tap the “Install” button next to it. The app will start downloading and will automatically get installed afterwards.